The Rose is a wonderful place for children to not only experience live theater, but also to learn. Studies show that consistent participation in the arts greatly improves academic performance and significantly bumps up standardized test scores. Students who make time for the arts are also more involved in community service, and less likely to drop out of school. Whether you are looking for classes in acting, dance, voice, musical theater or creative drama, The Rose offers the opportunity to find your place in the spotlight. We have a wide variety of classes and camps for children of all ages, all stages and all types of needs. Click here to access an easy-to-use tool to help you find the perfect classes for your child. Whether your child is taking his or her first steps onto the stage or has already landed a leading role, classes at The Rose encourage creativity and imagination while enriching the understanding and enjoyment of theater. 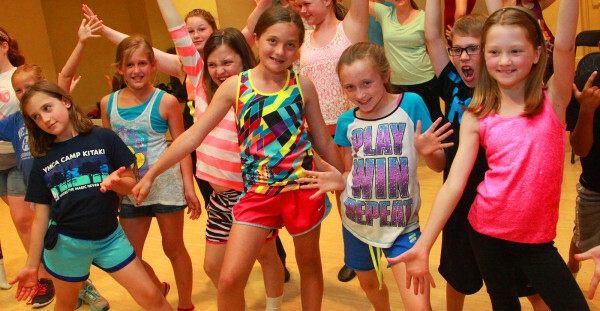 Learn more about classes and camps at The Rose. Looking for information about your child’s class? Access the Parent Portal. A standard class can be a little rambunctious and noisy — an environment not suited to all students. If your child has Sensory Processing, Developmental Delay or Autism Spectrum Disorder, we suggest you begin by enrolling him or her in one of our Special Needs Classes. Learn more about Special Needs classes here. Bring the performing arts to your students. Teacher, expose your students to the world of drama and Broadway through exciting and imaginative field trips, touring shows, workshops and other opportunities. Check out these student opportunities.